It’s a little ironic we call smartphones “smartphones”, given that we mainly use them to look at memes and Google weird questions we’re too embarrassed to ask out loud. I think we can all agree that sort of phone usage isn’t exactly what you could call “smart”. What is smart, though, is maximizing your driving experience with one of the many helpful driving apps you can download for free. Below, we’ve listed the apps that’ll help you find cheap gas, warn you about speed traps, and do tons of other useful things. These apps are designed in such a way as to not distract you when you’re behind the wheel. That said, we at Go Auto feel obliged to remind you that distracted driving is dangerous. So, when you’re using these apps, remember to keep your attention focused on the road! Now that we have that covered, let’s dive right into it. Here are the eight most helpful driving apps. First on our list of helpful driving apps, we have the Waze Navigation & Live Traffic app. This handy app is the perfect driving companion. It’s a navigational app that will help you get to your destination faster by warning you of traffic jams, accidents, and other hazards on your route. After warning you about the traffic hold-up, it’ll reroute you onto a quicker course. On top of that, it’ll also help you save money at the pump by directing you to the gas stations with the best prices. As well, the app will help you find nearby parking, which is a huge help when you’re navigating an unfamiliar city. Oh, and if you have a penchant for speeding, listen up. This app will warn you where to expect a police presence on the road. But even so, you shouldn’t speed in the first place. In a nutshell, this app does the job of the front passenger. The difference is that this app won’t play its crappy music or mess around with the air conditioning. That’s a big bonus in our books. Next on our list of helpful driving apps, we have GasBuddy. This app will help save you money by telling you where and when to purchase gas. But that’s not all. You can also use this app to find gas stations of specific brands, and ones with amenities, like carwashes and restrooms. Users of the app also write reviews of the locations they’ve visited, so you can be sure to find the good ones. This app also helps you save money by warning you when there’s going to be a price-hike for gas. That way, you can fill up before prices increase. You may not realize it, but those few cents off by the litre add up quickly. You could actually save a big chunk of change using this app on a regular basis. This app takes helicopter-parenting to a whole new level. It’s designed to be a tool for parents to stay in touch with and keep track of their kids. 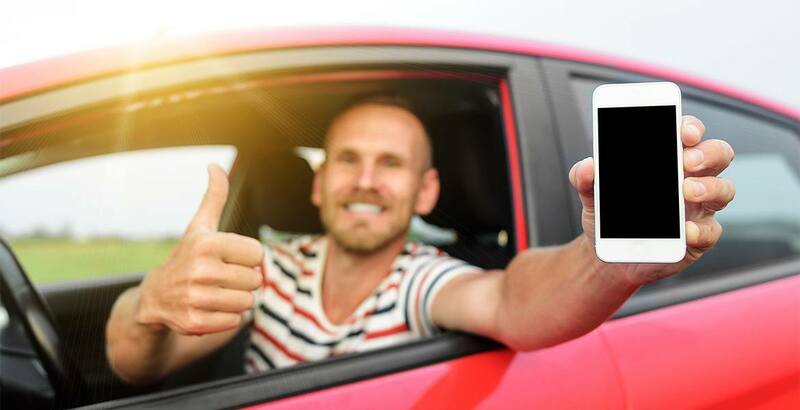 It’s a good app to get if your teenager recently became a new driver, as it will alert you when he or she arrives or leaves a given location, like grandma’s house or school. While this writer would caution against the type of hyper-parenting this app entails, some kids have a penchant for trouble. So, for those kids, a short leash might not be the worst thing in the world. The fourth on our list of helpful driving apps is quite straightforward: it’s a speedometer. There are several different versions of this app available, but most provide you an easy-to-read speedometer that can display your speed in mph or km/h. It’s especially handy if your vehicle’s actual speedometer is faulty and doesn’t give accurate readings. PlugShare provides you with the world’s most comprehensive charging station map. With this app, you’ll be able to find the nearest charging station for your EV (electric vehicle) with ease. Also, the many EV drivers that use this app leave reviews of the charging stations they’ve visited. That way, you can make an informed decision about which locations you want to charge your vehicle at. What’s more, you can filter locations shown on the map to ones that are compatible with your vehicle. As well, you can pay for charging through the app at participating locations. This app is a great tool for EV drivers planning a long road trip. Do you often find yourself roaming around parking lots in search of your car? Well, with the sixth pick on our list of helpful driving apps, that part of your life could be over. To use Find My Car, all you need to do is mark your vehicle’s position on the app’s map. You can even take a picture and write a description of the parking spot. Then, when it’s time to locate your car, simply open the app and follow the directions. Have you ever planned your itinerary down to the last tiny detail, only to have your plans foiled by bad parking options? If you have, you know too well how frustrating it can be. Thankfully, with the Parking Panda app, you can avoid those experiences. This app allows you to easily find, reserve, and redeem parking in major cities in Canada and the United-States. Among many more, the major cities include Washington D.C., New York, San Francisco, Chicago, Toronto, and, get ready for it, Edmonton! Parking Panda lets you reserve parking spaces in advance too. You can even find parking locations with discounted prices to save a few dollars. Another perk this app offers is a referral program that allows users to earn free parking. The final app on our list of helpful driving apps is meant for truckers, as the name suggests. With it, you can find vital information while on the road. You can search for truck stops, check weigh stations statuses, find cheap diesel fuel, and much more. It makes for a seamless trucking journey, so you can get back home sooner. Now that you know which helpful driving apps you’re going to download, it’s time to get the right set of wheels to test them out in. Visit us online to browse through our extensive inventory, or give us a call at 780-777-7777. Our automotive experts are here to help you with all your vehicle inquiries!